One of the projects I’ve been thinking about adding to this blog is a podcast, so I have been listening to adoptee podcasts. I listen to podcasts a lot while I’m working out. As we wind down National Adoption Awareness Month, here are a few adoptee podcasts for you to try. April began her podcast in February 2016 and is regularly updating. She covers a lot of topics, sometimes by herself and often with guests. Kaomi writes that Adapted “explores the experiences of Korean adoptees, from post-reunion stories to living in Korea as adults…The experiences of adoptees are as varied and unique to each circumstance; yet we start from a similar starting point: as transnational adoptees from Korea.” Adapted is on it’s second season. Out of the Fog, produced by CKUT 90.3 FM in Montreal, Canada, was a radio podcast where stories about family, adoption and power. Their mission was to “break the shame and isolation surrounding the lives of those affected by family separation through frank and open conversation.” Though the last podcast episode was Nov. 2017, you can access the archive here. My first Thanksgiving in the U.S. was in 1971 – shortly after I was placed with my adoptive family. That year, the Thanksgiving holiday also fell on my 3rd (presumed) birthday – as it does now every 9 or so years – and my adoptive family has always made a big deal of this fact. The holiday and my birthday have always been connected. My birthday has been so tied to Thanksgiving that after I grew up and left the home, my parents often forgot to call me on my actual birthday if it didn’t land on the holiday. My parents are traditionalists and I grew to love the Norman Rockwell idea of Thanksgiving. Usually my mom hosted and both sets of grandparents attended, sometimes with other relatives as well. We did the same thing every year – roast turkey, stuffing, green bean casserole, sweet potatoes with roasted marshmallows on top, and pies. We also had a birthday cake every year. Most years the table was decorated with assorted crafts that my siblings and I had made in school – inspired by the lore of the “first Thanksgiving” shared by Pilgrims and Indians. This false presentation of the relationship between the colonial settlers and the first nations peoples became paper pilgrim hats and hands eagle feather headdresses on the dining room table. We always held hands and took turns saying what we were thankful for. I was never one who comfortably publicly stated thanks in a circle, not as a child and still now as an adult. Fortunately, my adoptive parents have never made me feel like I should express gratitude for having been adopted; though they were quick to give thanks for my presence in the family. My dad or my grandfather would say the grace, always including thanking of “the hands that prepared the meal.” Never did the Thanksgiving dinner prayer include a land acknowledgement that we were on stolen indigenous land. It wasn’t until I was in my undergraduate social work program that I first really learned about the extent of the Native American boarding schools and the Indian Adoption Program. Learning about the removal of Indian children into white adoptive families and boarding schools as a form of cultural genocide was a defining moment. I had already begun the work of critically analyzing Thanksgiving as a problematic centering of white settler colonialism. As I described in my essay in Parenting as Adoptees, when my daughter was 12, she became upset when her grandmother asked her to read a story about the “first Thanksgiving” that she knew was problematic. Back then, however, I wasn’t ready to take a hard stand; I learned from my daughter that trying to placate family came at the cost of one’s own moral self. I was still setting aside my own values in order to maintain peace in the family. The idea that we were supposed to go around the table and be thankful on a day centering the attempts to excise indigenous people – including through adoption – became more difficult for me each year. And for this day to be so centrally tied to my own birthday, or rather the date assigned to me because there is no way to verify my actual birth date, seemed like one more lie, on top of lie, on top of lie. Thanksgiving had become our family’s version of “gotcha day,” and I realized that in addition to staying quiet about problematic narratives about our first nations people, I’d been expressing thankfulness for problematic narratives about my adoption. Of course, it didn’t have to be either/or; we could have acknowledged that both gains and losses could occur as a result of adoption. But in my family, like the fake Thanksgiving story about the “first shared dinner” between Pilgrims and Indians, only one side of the story was allowed. One of the other concerns I have about the holiday is that since 2004, it has also become National Family Health History Day. This initiative is sponsored by the Surgeon General’s office every year and the idea is that while everyone is sitting around the dinner table eating their turkey and mashed potatoes, that the family will talk about the health patterns that run in the family. Great idea – unless there are adoptees at that table, who have no access to our family health history. This year, my kids are visiting us. My kids are adults and live in another state so we don’t get to see each other as often as I’d like – so we are taking advantage of the long weekend and flying them out to visit. I will cook a big turkey dinner on Saturday with Mr. Harlow’s Monkey’s brother and wife, and we will have all the traditional food I’ve grown to love. And we will talk about our family’s health – including the lack of health that I, and my kids, have. Our conversation will have to focus on what we can and must consider as people without full access to our genetic health history. But today, we will be celebrating our Korean American family. I made kalbijim, a savory short rib and vegetable stew. We will sit around the table to make kimbap and homemade mandu – things I wish I could have done with my Korean family. And we will make pies. The holiday is, after all, supposed to be about celebrating the harvest and recognizing the hard work that results from the seeds we plant. I am striving to pass on different traditions to my kids, ones that I hope they will pass on with their friends and families. This is what I am thankful for; this is what I planted and nurtured for many years and now have the benefit to reap: a family that celebrates multiple identities and values, a community of social justice-minded friends and colleagues, and the ability to make and enjoy life together. I miss my potluck gang in Minneapolis this time of year the most. We often celebrated “Cranksgiving” together. We were (and still are) a hodgepodge of folks who had formed into a family of another kind. Most of all, as I turn 50 this year, my 47th in the U.S., I’m thankful to have found my community and my voice and the opportunities to be part of a larger reframing of the adoptee narrative. Over time I have collected a number of adoptee memoirs. The image above shows just a part of my collection that I have read. In this blog post, I wanted to highlight two additions to the growing body of adoptee memoirs, Susan Devan Harness’ Bitterroot: A Salish Memoir of Transracial Adoption and Nicole Chung’s All You Can Ever Know. The transracial adoptee experience is still unique enough that when I share my own experience to those outside of my professional adoption world I often get that range of responses generating from a sense of pity – everything from “I’m sorry” to “Weren’t you lucky!” I know I am not a unicorn – but sometimes I wonder if because I’m so open about being a transracial/transnational adoptee that maybe it’s just that most people don’t talk about it much and that is partly why most of the general population has such limited information about what it is like to be an adult adoptee. As an adult, without the white adoptive family around, most people would not know we are transracial/transnational adoptees. We can finally blend in, the adoptee part of our identity no longer has to be front and center. At the same time, this can also somewhat obscure what is a big part of our identities and make it more difficult for others to see how our experiences affect us our whole lives. This is why adoptee memoirs are so needed. My thoughts here are much less about the actual books than about some of the thoughts that they generated for me, in part because there are so many excellent reviews out there but also I want you to encourage you to discover these treasures for yourself without my giving too much away. This post is a strong endorsement for both of these memoirs – very different in style and tone – but both beautifully written. Chung and Devan Harness are skilled writers and that shows in the way they craft their narrative. Both Devan Harness and Chung write about their birth family searches, and the ups and downs of what they discover. For many adoptees, the “reunion” is a Pandora’s box; for every question that is answered, three more come up. I’ve seen this with numerous adoptee friends of mine over the past 20 years. For better or worse, the break-up of the first family leads to chasms that often can’t ever fully be repaired. Both of these memoirs provide intricate and detailed descriptions of the complicated, but beautiful and touching, relationships that were built with siblings. It makes so much sense to me that the exploration of the often asked, “what if?” isn’t always fully answered and instead, could lead to tensions of who gets to say what “better off” means. I don’t believe in predetermination myself. It’s not that if we had stayed in our birth families that we would have had the same experiences as our siblings; also we cannot say that if our siblings had switched places with us that their lives would have had the same outcomes as ours. There are so many random incidents, events and experiences that happen in each of our lives that any one thing can change our trajectories. I have been searching for information about my Korean family for almost 20 years now. A dear friend of mine recently found her Korean family through a genetic testing site and it has brought back all of my feelings about searching again. I’m planning to be in Korea next summer and one of the decisions I’ll need to make between now and then is if I reboot my search. At this point, I’m not sure – but reading these books has given me a lot of things to think about. The last thing I want to mention is how well both Chung and Devan Harness describe the experiences of being raised as a child of color in a predominantly white family and community. Their stories reinforce my belief that children of color KNOW – from a very early age – when people treat them differently because of their race, and they also know from a very early age whether their adoptive parents are going to be safe people to share their feelings and experiences of racism and discrimination. I will strongly push back on any white adoptive parent who swears their transracially adopted child doesn’t feel this deep in their bones. If your child doesn’t tell you about these experiences of being a transracial adoptee it’s not because they don’t have thoughts. They have decided, maybe unconsciously, that it’s not safe to talk to you or think you won’t understand. If your child is not overhearing you talking to others about racism, racial injustice, prejudice, and discrimination, then how will they know you have the capacity to validate their concerns and feelings? It can be hard, but you must start the conversations. It’s not your child’s job to come to you first. An article based on my NACAC keynote presentation published in Adoptalk is now available for everyone on the NACAC website. Thanks to everyone at NACAC for making this available. You can click here for the article. For the slide presentation, click here. Yesterday morning, as I was scrolling on social media, I came across a story about the history of the Cabbage Patch dolls and it was interesting to reflect on the phenomenon of this popular 1980s toy trend and all of the ways this doll and adoption are intertwined for me. The sensationalized story titled “The cutthroat saga behind the Cabbage Patch Kids craze” written by Leslie Gonzalez was originally published on the History 101 website (October 17, 2018). According to this article, the doll was patented in 1978 by Xavier Roberts and it turns out that while Roberts made his fortune from these dolls, he actually stole the idea from a woman named Martha Thomas who had been making these dolls and selling them in craft fairs in the Midwest. One of the ideas Roberts stole from Thomas was the idea that these dolls were “adoptable.” Each doll had a story and a certificate of adoption with the doll’s unique name and “birth day” and the rest was blank for the child to provide his or her name and address as the adoptive parent. Both Thomas and Roberts had, as part of the production and sales of their dolls, the idea of having people pay “adoption fees” rather than buying the dolls. Of course, Roberts made millions of dollars off of the “adoption fees” for these dolls. I was 15 in 1983, the year of the big Cabbage Patch doll craze, when people lined up in stores and fought over the dolls. I was aware of the dolls even though I wasn’t personally interested. I remember thinking about the name, the idea behind the “cabbage patch” and the adoption certificate. Then my maternal grandma gave my sister and I cabbage patch dolls for Christmas. Because back in those days they had only white and black dolls, my white sister received a blonde girl doll and I received a black girl doll named Addie Mae. Even though I wasn’t very racially aware back then, I remember feeling like the name was a stereotype. In my family, we didn’t talk about the fact that I was a different race than anyone else. My family did not single me out for being Korean, and never made me feel like I wasn’t part of the family. I appreciated this in many ways since at the time I felt hyper-visible and targeted as an Asian in my nearly all-white school and community. Yet I also did wish there was some recognition of my difference. So while it felt somewhat odd to receive a black Cabbage Patch doll, I was grateful that my grandma knew enough to not give me a white one. I knew she understood it would mean a lot to me to have a doll that acknowledged that I saw myself as not white. You can also visit BabyLand General Hospital in Cleveland where the employees dress like hospital nurses. I’m not sure if the use of adoption in marketing dolls to children began with Cabbage Patch dolls but it didn’t end there, and This American Life has an episode about an FAO Schwartz newborn doll department set up as a “nursery” for adoption and what happens when all the white dolls sell out. The episode, Babies Buying Babies originally aired in 2008 under the show, Matchmakers. When I talk about the way we are socialized in particular ways about adoption, this is what I’m talking about. As a researcher who studies adoption, one of the things that struck me the most about the Cabbage Patch doll narrative is how much it actually aligns with how adoption is practiced today and how the process of “adopting” a doll socializes children about adoption. The language used – “meet the adoptees” – and that you can search for the one you want by a number of characteristics, including race, and you receive adoption certificates and can even change the name of your doll – all of these are strikingly on point. We are socializing children to think about adoption from very early ages. And as the This American Life story illustrates, race is part of this socialization. But, so is demand, and the framing of the “parent” as having all of the options and choices they want. When my daughter was young, around 3-4 years old, I once caught her and a few of her friends playing “giving birth” with their dolls. One girl was on the floor, with a doll under her shirt, while the other two were saying, “push, push!” I also saw my daughter and her friends play-nursing their dolls. Of course, they were modeling what they saw in their own lives. Yet my daughter and her friends also knew a lot about adoption – from the media they consumed (think Disney) and from the language they heard in society in general. Both of my kids, but especially my oldest, was very interested in adoption because so many children’s tv shows and movies included adoption and child separation. My daughter knew the musical Annie by heart and thought all orphanages – including the one I once lived in – looked the same. Reading about the Cabbage Patch Dolls and realizing that not only do they still exist, but the adoption storyline has continued so strongly in contrast to American Girl dolls, which have no adoption component even though many of the other aspects are the same (such as picking out characteristics of the doll you want). But there are other doll companies that use adoption as a theme. What other ways do we socialize children to the master narrative of adoption? November is an important month to me. It’s the estimated month of my birth, which as many adoptees know can bring conflicting emotions. This year is particularly significant in that I will turn 50, a big milestone in any person’s life but has made me particularly reflective this past year as I head toward my AARP membership. November is also the month my oldest child was born and again, as an adoptee, having my children – especially my first – and knowing she was the first person I had a genetic relationship with was so powerful. My oldest was due on my birthday that year, but came a couple of days early. Still, sharing our birthdays so close together, has always felt like such a gift to me. Having my children and being able to raise them has been a healing journey and I feel so fortunate to have had that opportunity. Finally, November is National Adoption Month. For a history of National Adoption Month you can visit the official website hosted by the Child Welfare Information Gateway (here). As an adoptee, as a former adoption professional, and as an adoption scholar, this month involves a lot of work – formal and informal – as I weed through the many news stories I am sure will be featured on every news site and online publishing venues and blogs and social media outlets. This annual campaign to promote adoption has traditionally focused on adoptive parents and prospective adoptive parents. As Maureen at Light of Day Stories writes, it has only included adoptee voices – particularly adult adoptee voices – in the past few years through the intervention of adult adoptees who have challenged the dominant narratives of adoption and advocated for an expanded narrative that includes adoptees and birth/first parents. Here at Harlow’s Monkey, I have been wanting to post more and so I am going to use this month as a starting point to update more regularly. I have several things I want to write about and share; memoirs by adoptees that I have recently read (including Nicole Chung’s All You Can Ever Know and Susan Devan Harness’ Bitterroot: A Salish Memoir of Transracial Adoption); new films and media projects including Glenn and Julie Morey’s SideXSide Project; reviews of other adoption books, my thoughts on the recent ASAC/AI conference; and reflections on some of the current research I’ve been working on including adult Korean adoptees and parenting, the displacement experiences of Intercountry adoptees, adoption professionals training and preparation, and how adoption agencies can incorporate stronger supports regarding open adoptions between adoptive and birth/first families. Thanks for joining me on this month’s journey. 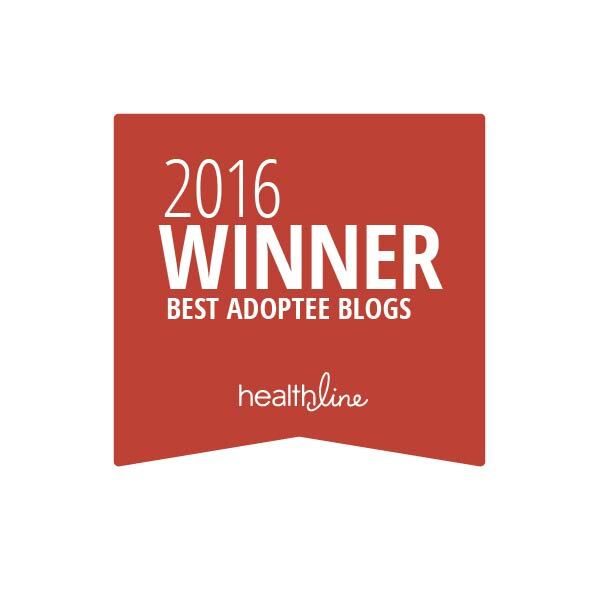 As always, my blog will be adoptee-centric and will privilege and highlight adoptees voices first and foremost. I think we will have lots to talk about.